The outdoor entertainment is your quality time in the outdoors. Art flourishes where there is adventure; this is where three ingredients merge giving you an experience that you will never forget - music, the great outdoors and of course outdoor cooking. 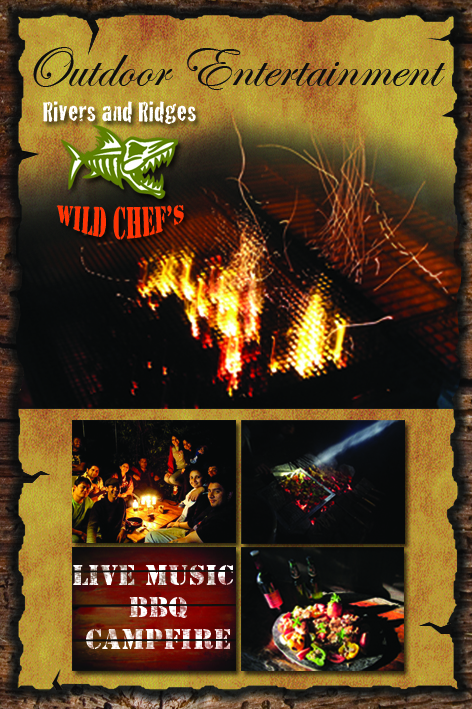 We have our very own food brand ‘Wild Chef’s’ where we do flame kissed BBQ ..